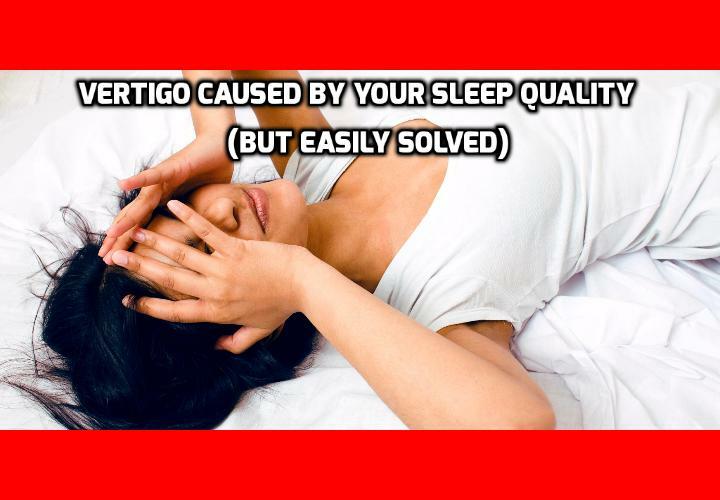 In What Terrible Way Does Sleep Quality Cause Vertigo? Vertigo is a dangerous, annoying, and lifestyle-changing problem, some people suffer falls, panicked dizzy spells, and other complications resulting in loss of driving abilities and even injury. But it’s studied so little that many vertigo sufferers are left with little to no relief, except for pills and potions. What’s worse, it seems to affect every aspect of life, including sleep. So, Japanese researchers started investigating the relationship between sleep quality and a specific form of vertigo. And the results were astonishing! Their study, published in a 2010 edition of The Journal of Clinical Sleep Medicine, arose as a result of hearing many sleep complaints by vertigo sufferers. It compared the sleep quality of 35 people with Meniere’s disease with that of 35 healthy subjects. Those with Meniere’s disease which had poor sleep quality, spent considerably less time in deep sleep than the healthy controls did, meaning that their quality of sleep was lower. Because they spent so much time sleeping lightly, they spent more overall time sleeping than the healthy subjects, likely as an attempt to compensate for the poor sleep they were getting. Those people who had poor sleep quality were also more likely than the non-vertigo sufferers to be aroused by sounds throughout the night. One interesting discovery they made was that people with Meniere’s disease were more likely to suffer from sleep apnea than the healthy population. Sleep apnea is a condition that causes the afflicted person to stop breathing while asleep. This occasionally wakes them up, but it is more common that they remain asleep during these spells. The researchers suggested that these periods of low or no oxygen intake compromised the circulation of oxygen rich blood to the brain and inner ear, which causes the nausea, hearing loss, and spinning sensation. The researchers considered if continuous positive airway pressure (CPAP), would improve vertigo symptoms. CPAP is a machine used for sleep apnea. It involves a ventilator that applies mild air pressure into your nose while you sleep. It’s supposed to ensure your airway does not collapse or become obstructed while you sleep, which typically happens if you have sleep apnea. Researchers concluded that the CPAP use showed some benefit in relieving vertigo and hearing loss experienced by people with Meniere’s disease. Based on these findings, they strongly recommended against sleeping tablets for insomniacs with Meniere’s disease because of the possibility that these might inhibit their breathing and thereby worsen their vertigo even more. That only works if you can keep a CPAP on your face – all night. Many people hate them and don’t comply with their use. If this is you, or if you’d like to be rid of the machine altogether, you’ll need to try alternative, natural methods.